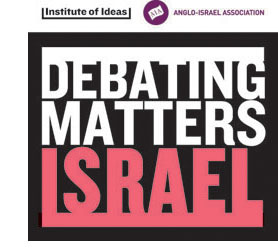 In partnership with the Anglo Israel Association, the Institute of Ideas Debating Matters Competition will be returning to expand the use of our unique format and approach to schools’ debating in Israel. Following the success of Debating Matters Israel’s pilot in 2015, a mix of Jewish and Arab students will come together to debate a range of contemporary scientific, digital and moral issues at the National Library of Israel in Jerusalem. Building on the enthusiasm of last year’s event and the development of the Ministry of Education English Inspectorate’s Diplomacy and International Communication in English bagrut major course, we’re delighted to present this year’s competition. Debating Matters Israel 2016 will open with a welcome reception on at the British Ambasador’s residence in Tel Aviv, where we have been invited to bring together all those involved in the project.